Width of adhesive tape 1, 1.5, 2, 2.5, 3 inch. Rusk Wrapping Machines. With the comprehensive industry knowledge of allied domain, we are engaged in presenting a superior quality range of Rusk Wrapping Machines. The provided machines are manufactured using premium quality material and latest techniques. 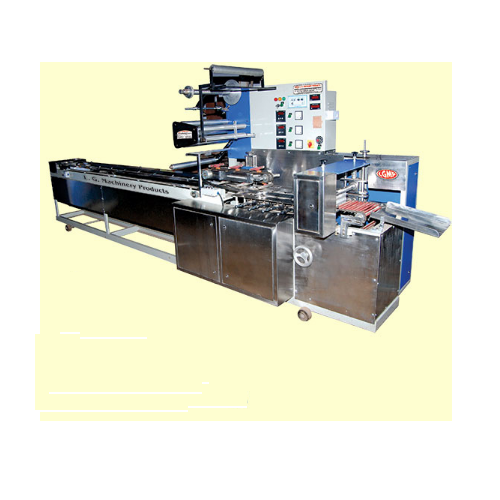 Additionally, our provided machines are processed adhering to industry standards and quality norms. The offered machines are examined on set quality parameter in order to deliver better range to the clients. Also, these machines are made available in various colors, sizes and shapes. Moreover, clients can opt for different dimensions according to the specific business needs. Width of adhesive tape: 1, 1.5, 2, 2.5, 3 inch.